The Lynch Law Group is pleased to welcome attorney Frank C. Botta, a transportation industry veteran, who joins the Firm to lead the new Transportation Practice Group. He also will have a significant role in expanding the Firm’s Labor and Employment Practice. Mr. Botta, currently serves as President of The Transportation Lawyers Association, an independent, international bar association whose members assist providers and/or commercial users of logistics and transportation services. He has a deep understanding of the issues faced by companies in the transportation industry and decades of experience counseling local, regional, national and international clients in logistics, supply chain and transportation operations. Mr. Botta previously served as in-house counsel at Caliber Systems, Inc. (formerly known as Roadway Services, Inc. and RPS, Inc.). 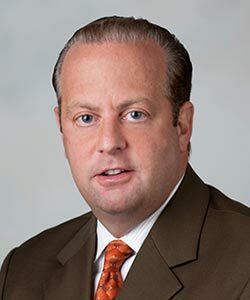 Most recently he was Vice President and General Counsel for Samuels and Son Seafood Co., Inc., the largest seafood wholesaler in the Northeast region. In addition to his transportation practice, Mr. Botta has extensive experience in advising and assisting clients with labor and employment matters including employment discrimination, sexual harassment, unfair labor practice, union election campaigns, collective bargaining, grievances and commercial and corporate litigation in both federal and state courts. He counsels clients with employment-related investigations involving claims of employee misconduct and workplace incidents involving the Occupational Safety and Health Act (OSHA). He represents companies before federal and state agencies including the Department of Labor, Equal Employment Opportunity Commission (EEOC), National Labor Relations Board (NLRB), Office of Federal Compliance Programs (OFCCP) and Pennsylvania Human Relations Commission (PHRC). Mr. Botta is a an experienced trial attorney who has successfully litigated in a spectrum of civil disputes in both state and federal court systems in a variety of complex commercial litigation matters. “Frank is very invested in the logistics and transportation industry. The high level of experience he brings allows us to formally create a new practice area and reinforces our commitment to serving clients, from large international companies to small and mid-sized suppliers, at all ends of the supply chain. Furthermore, his focus in the area of labor and employment and his skill as a litigator, strengthens the service we provide to all employers,” said Dan Lynch, founder of the Firm. Mr. Botta also is a trained mediator with the U.S. District Court for the Western District of Pennsylvania and an arbitrator with the American Arbitration Association. He has served as the Management Chair of the American Bar Association Labor and Employment Section, Alternative Dispute Resolution Section. He earned his J.D. from Temple University School of Law and his B.A. in Economics from Washington and Jefferson College. Mr. Botta is rated AV Preeminent, the highest peer rating standard, by Martindale-Hubbell. More information on the Firm’s Transportation Practice can be found on the website. Frank Botta can be reached at fbotta@lynchlaw-group.com or 724-776-8000. This entry was posted in Legal Watch, Labor and Employment, Transportation, Announcements. Bookmark the permalink.